Council spending on ICT may have peaked according to analysis of its latest supplier spend report. 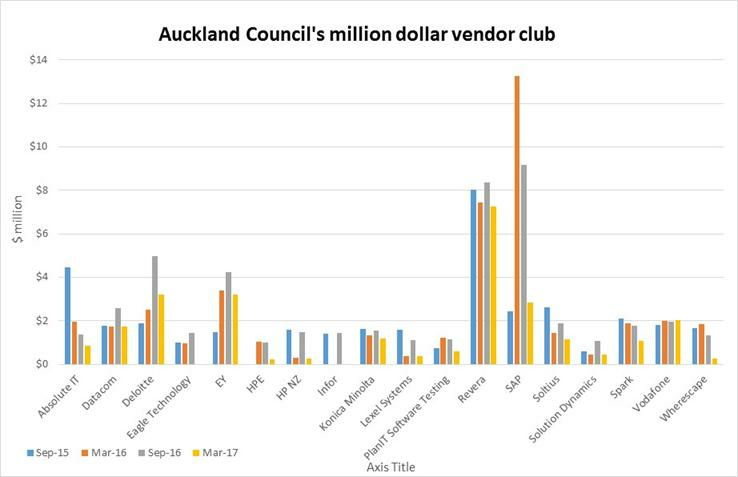 SAP and Revera dominate Auckland Council's external IT spending, but a host of other vendors have broken into the million dollar club over the last two years, new figures reveal. Analysis by Reseller News of the council's supplier spend reports over the last two years (see chart below) show SAP and Revera dominating external procurement at New Zealand's largest territorial authority, but spending on SAP appears to have peaked. The analysis also shows a large reduction in overall spending with the council's largest external ICT providers. Spending totalled nearly $48 million in the half year to September 2016 compared with $26.7 million in the most recent half year. 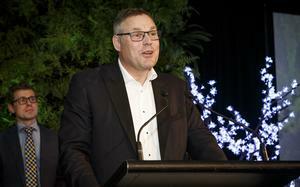 Meanwhile, at a briefing on Friday, Auckland Council invited interested ICT vendors to help it refine a new ICT strategy. The chart does not record any spending totaling less than $100,000 in any six month period or any vendor that did not receive over $1 million in any of the four reports analysed. Council has been investing heavily in bringing the disparate IT systems of eight former local and regional authorities together since their forced amalgamation in 2010. At the heart of that integration is an SAP-based system hosted by Revera called NewCore. Originally budgeted at $71 million, the first major stage of NewCore was rolled out to the former Rodney, North Shore and Waitakere council regions in mid 2016. By July this year the system should service the entire supercity. 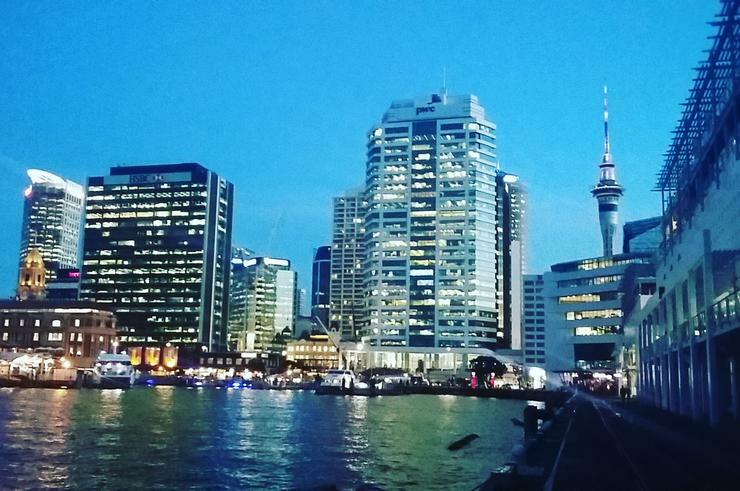 While NewCore's original budget was blown out to $157 million, Auckland Council covered the extra costs within its existing IT budget. Spending with SAP plummeted to $2.84 million in the half year to the end of March, according to the council's latest spend report, released last week. SAP spending peaked in the half year to March 2016 at over $13 million followed by $9.18 million in the next half. 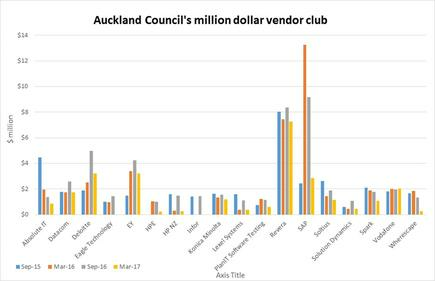 Being a hosting provider, Spark-owned Revera's share of council spending is much more stable at around $7 million to $8 million. Deloitte was heavily involved in consulting around the integration and implementation of NewCore, especially in data migration. 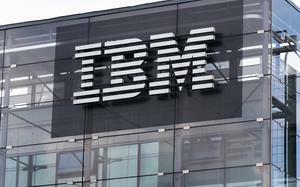 KPMG and EY also played significant roles, especially around quality assurance after the project found itself in trouble. However, all of these consultancies could also be delivering other non-ICT services to council. SAP specialist Soltius is also prominent in the figures, having been involved in integration work since the beginning of the amalgamation. While Spark's Revera is winning strong earnings from the council, its parent appears to be fading. Spark's sales to council have halved over the past two years from a shade over $2 million in the half year to September 2015 to just over $1 million in the latest report. Vodafone, meanwhile, is trucking along at a steady $2 million a year. Other vendors appear to be involved in specific projects and their revenues reflect this. Wherescape, for instance, was involved in data integration for the council's data warehouse, earning over $1 million for the first three half years reported here. The latest report show a decline to just under $272,000.